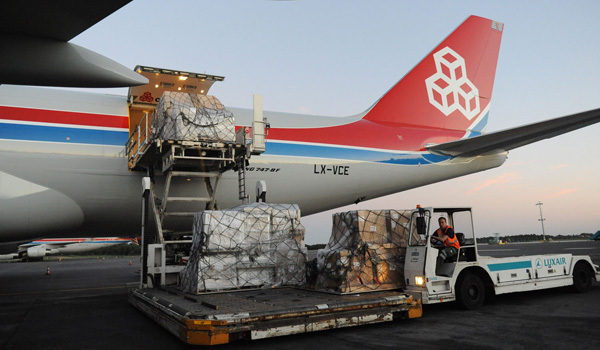 Cargolux Airlines has decided to temporarily impose a ban on the transport of lithium ion battery (UN3480) shipments starting on 1 May 2015. The decision comes after reviewing new information released by the FAA, Boeing and ICAO regarding the effectiveness of the on-board fire extinguishing systems in case of lithium ion battery fires and the temperatures that such fires can develop. With this decision, Cargolux joins other major passenger and freight carriers in following the IATA recommendation to risk assess the transportation of such batteries and concluding that the current risk to continue flying such shipments is not acceptable. Shipments of lithium metal batteries (UN3090) have already been banned by Cargolux following a dedicated risk assessment conducted in previous years. This ban does not apply to lithium ion batteries packed with or contained in equipment (UN 3481). To lift the ban as soon as possible, Cargolux will assess different options to identify if technology exists or if new technology can be developed in order to make the transportation of bulk shipments of lithium batteries safe.